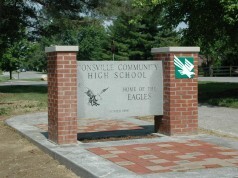 When the conversations turns to Zionsville Community Schools (ZCS), its nationally recognized high school usually receives most of the attention. Often overlooked are the two great middle schools that feed Zionsville Community High School (ZCHS) an incredibly well-prepared student body. The two often-overlooked institutions that focus on preparing “tweens” to gracefully exit their awkward adolescence and smoothly enter the ocassionally-overwhelming world of being a teenager are Zionsville Middle School (ZMS) and Zionsville West Middle School (ZWMS). How good are the middle schools in Zionsville? According to the independent ranking site SchoolDigger.com, there were 476 middle schools in Indiana during the 2013-2014 school year, and both Zionsville Community Schools middle schools were ranked in the Top 20 with a 5-star rating. Zionsville Middle School, located at 900 N Ford Road in Zionsville, is ranked #5 in Indiana on SchoolDigger.com. In 2013-14, the ZMS student/teacher ratio was 20.8 – the school employed 48.7 full-time teachers to educate its 1017 students. The school’s calculated Average Standard Score was 91.48. Zionsville West Middle School, which is actually located in Whitestown at 5565 South 700 East, is ranked #17 in Indiana on SchoolDigger.com. In 2013-14, the ZWMS student/teacher ratio was 19.7 – the school employed 43.6 full-time teachers to educate its 861 students. The school’s calculated Average Standard Score was 85.74. 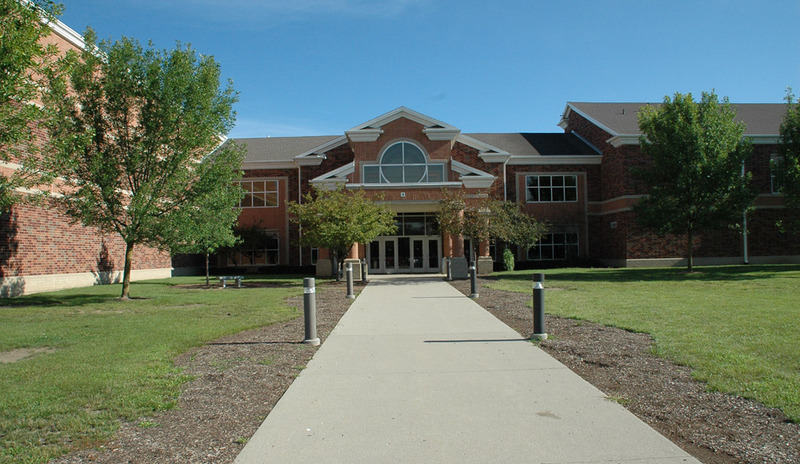 Zionsville Middle School’s current location opened in the fall of 2001. The elementary schools that feed ZMS are Boone Meadow, Pleasant View, and Union. Zionsville West Middle School opened in 2005 at a different location. It initially served only the 5th grade while its current campus was being built to also serve grades 6 through 8 upon its opening in the fall of 2007. The elementary schools that feed ZWMS are Eagle and Stonegate. 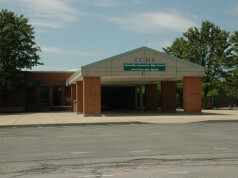 As the population in the ZCS school district rapidly grew after Zionsville Middle School opened, the school quickly approached its capacity. 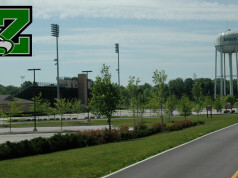 District administrators chose the same architect/contractor team to build the current Zionsville West Middle School as an almost-exact replica of ZMS, according to an Engineering News-Record article, with just a few improvements added based on the experience of several years of operation. Another “twin” aspect of the two middle schools is that they have separate but equal wings for the two lower grades (5th & 6th) and the two upper grades (7th & 8th). The “schools-within-a-school” design helps to provide a small-school feel within a larger structure as students transition toward the vastness of ZCHS. The mission of the Zionsville Community Schools is to provide customized 21st century experiences that ensure maximum student growth leading to productive citizenship in the world community. To that end, both ZCS middle schools strive to provide each and every student they serve with an environment that is conducive to obtaining the best possible education. The foundation of those environments are built on active communication with both the students and their parents. ZMS students and parents can stay abreast of current school events via the website Announcements page and the ZMS blog. Students also have online access to information in the Students section of the ZMS website, while their parents can stay further informed via the Parents and PTO web pages. At ZWMS, both parents and students can find useful information in the Announcements section of the school’s homepage and on the Upcoming Events calendar. Additional information can be found on the Students page, as well as on the Parents page, the PTO page, and the Parent Update page. If you want your child (or children) to benefit from attending either ZMS or ZWMS, you obviously need to live within the Zionsville Community Schools district. There are hundreds of wonderful Zionsville homes for sale, so it should be fairly easy to find one that’s perfect for your family. If you would like the assistance of an experienced local Realtor® to help you with the home-buying process, just contact us and we’ll make sure you have a great experience and a wonderful new home in the best school district in Central Indiana.